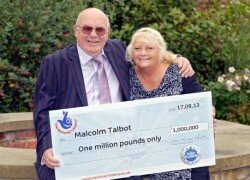 The EuroMillions Millionaire Raffle made new millionaires this week and among them was Malcolm Talbot who took home £1 million. He is 72 years old and will be celebrating his 51st wedding anniversary this year, so the money comes in handy, not to mention that his beloved wife also turns 70. The two of them have been playing the lottery for many years, but this is the first time they win anything relevant. 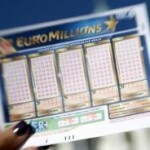 Some might argue that money doesn’t help too much when you are 70 years old, but winning the EuroMillions Millionaire Raffle means a great deal for the elderly couple. For starters, it confirms the fact that perseverance eventually pays off as the couple purchased many tickets over the course of time but the jackpot eluded them. On the other hand, the money will allow them to better look after their big family as the Talbots have 3 children, 6 grandchildren and 5 great-grandchildren. £1 million won’t be enough to ensure them all a bright future, but it is certain they will have the best Christmas party ever. The lucky winners plan on celebrating their wedding anniversary and Rhona’s birthday properly this year but also contemplate some bigger investments. They don’t have anything fancy in mind, but think about relocating to a bungalow, as they struggle with the stairs in their current home. The two of them have no intention of leaving the Bolton area where they grew up and lived for their entire lives as they know everyone here and they love the community. 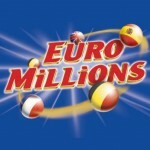 Those who participate in the popular European lottery are invited to also play the EuroMillions Millionaire Raffle and luckily for the Talbots, this additional game made them rich. Malcom was going over the numbers only to discover that they didn’t win the EuroMillions, but was pleasantly surprised by the fact that they’ve matched the raffle code. His wife was the first to hear about their good fortune as she was in the next room, but it took her a while to accept this reality and start celebrating. Luckily they had a bottle of champagne prepared for special occasions and three years after purchasing it, they had the perfect reason to open the bottle. 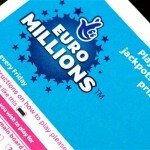 The Talbots have been together for 53 years and played the lottery for many years, and they have no intention to stop now after winning the EuroMillions Millionaire Raffle. Winning the jackpot is a dream come true for the couple and while they wait for the news to sink in, they told the media that they plan on embarking on a cruise along the Rhine in Germany. It is certain that the day before Christmas when Rhona celebrates her birthday will be a special day for the Talbots. Check out the Christmas Millionaire Raffle Winners as well.